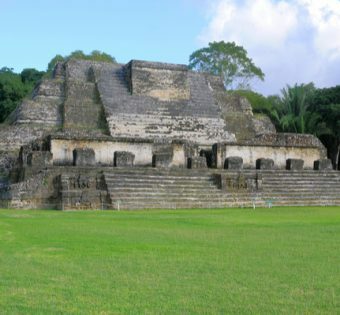 Belize, formerly known as British Honduras, is the only country in Central America without a coastline on the Pacific Ocean (only the Caribbean Sea to its east), and the only one in the region with English as its official language. The country is located between Guatemala to the west and south and Mexico to the north. World-class attractions include exploring the lush jungles with exotic plants and animals, deep sea fishing, swimming, snorkeling and diving in the Caribbean sea with its attractive reefs, and visiting the Mayan ruins. Belize escaped the bloody civil conflicts of the 80's that engulfed Central America and while it has not been immune to the rampant drug crime and grinding poverty of its neighbors it is a rather safe destination for the most part located in a part of the world that is not always considered safe. Income levels are still very low and the infrastructure is very basic. The Belizeans are very proud and friendly to visitors and the tourist industry grew greatly in the last decade.